UW-Green Bay’s Meacham and Lee with Fox 11’s Rachel Manek. UntitledTown, a book and author festival that takes place in Green Bay, has revealed the literary stars being featured at this year’s festival. Prof. Rebecca Meacham (English), co-president for the festival, and Mai J. 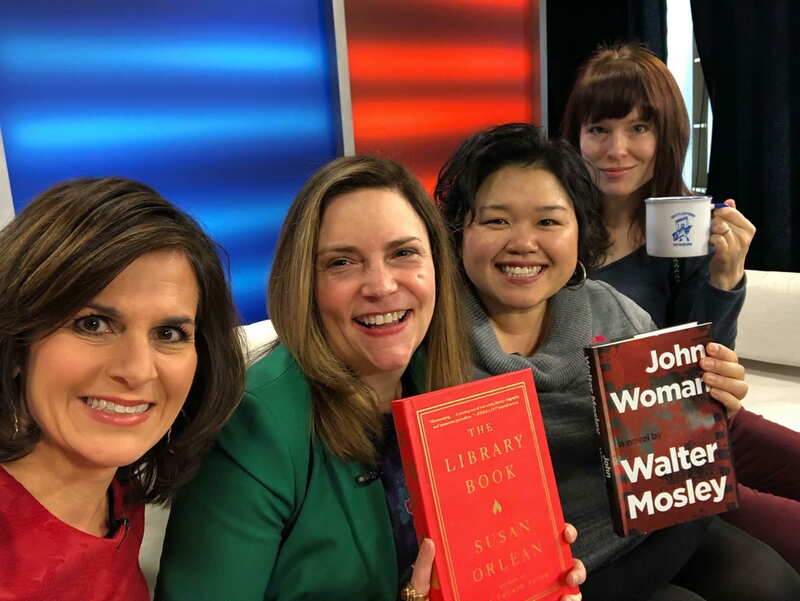 Lo Lee, Director of UW-Green Bay’s Multi-Ethnic Student Affairs (MESA) office and UntitledTown board member, were on Good Day Wisconsin to make the big announcement. Fox 11 has the story. Jamie Ford, Walter Mosley and Susan Orlean are just a few of the featured best selling authors coming to Green Bay. UW-Green Bay plays a huge role in pulling off this amazing festival. Aside from Meacham and Lee, three UW-Green Bay students are interns, and faculty member Cristina Ortiz and alumni, Ami Irmen, Audrey Schultz Arnold and Tom Sielaff, also serve on the board. This entry was posted in News and tagged UntitledTown on February 7, 2019 by Sue Bodilly.